For the past several years we have heard complaining that the Detroit Lions continued to host the early Thanksgiving Day game because they were terrible. You heard calls for the league to open up hosting the game to the rest of the league. Well, no one is complaining now as Thursday’s Green Bay-Detroit game is easily one of the most anticipated Thanksgiving Day games in a while. I would argue that this is the toughest game remaining on the Green Bay Packers schedule as the Pack look to go perfect this season (although the Dec. 4 Giants game could be tough depending on which New York team shows up). For the Lions, it’s a potentially huge game for their wild-card chances – currently they hold the top NFC wild-card spot, but they have three very tough road games remaining, including the season-finale at Lambeau. Detroit looked like it had been exposed a bit in losing three of four, and I’m not sure those concerns were alleviated in Sunday’s 49-35 home win over Carolina. The Lions have hugely missed running back Jahvid Best, who missed his fourth straight game Sunday as he continues to recover from the concussion he suffered Oct. 16 -- his second of the year. He won’t be playing this week. That Detroit running game had stunk without Best, but Kevin Smith came out of nowhere Sunday with 140 yards and two scores on 16 carries and five catches for 61 yards and a TD. The Lions were down 24-7 at one point, turning the ball over on their first three possessions, and 27-14 at intermission. However, they put up 35 in the second half. Matthew Stafford threw for 335 yards and five touchdowns as the Lions became the first NFL team since at least 1950 to win three games in a season after trailing by at least 17 points. The Packers were a little bit off on a short week in beating Tampa Bay, 35-26, on Sunday. Aaron Rodgers threw for “only” 299 yards and three touchdowns. He still managed a rating of above 110.0, as he has in every game of this season, by far an NFL record. Rodgers has thrown at least three TD passes in eight of 10 games, the most through a team’s first 10 games except for Tom Brady’s 10 in 2007. Rodgers’ season rating is 128.8, with the single-season record being 121.1 by Peyton Manning. Green Bay also unleashed its version of William “the Refrigerator” Perry on Sunday as defensive tackle B.J. Raji had one-yard TD rush for the first score of the game. According to Peter King of Sports Illustrated, these two teams’ combined 17-3 record is the best combined mark for a Lions Thanksgiving game since 1962. That so happened to be the last time the Packers were 10-0 and they played the 8-2 Lions at Tiger Stadium. Detroit handed Green Bay its only loss (26-14) of a 13-1 championship season. The key injury for Green Bay out of Sunday’s game was to running back James Starks. He went down awkwardly in a pile after getting stopped for no gain with just more than three minutes left against Tampa Bay. He had to be helped off the field. On the next snap, Rodgers hit Jordy Nelson with a 40-yard touchdown pass that sealed the win. Starks, who is questionable as of today, rushed for 38 yards on 11 carries and added 53 yards receiving on six catches, both career bests in the receiving category. No. 1 WR Greg Jennings has a minor knee injury but should start. Green Bay has won 16 games in a row. The last time Rodgers played in a losing game was Game 14 of last season — a 7-3 loss to these Lions at Ford Field on Dec. 12 that ended the Packers’ 10-game winning streak in the series. Rodgers was knocked from the game late in the first half with a mild concussion. Before departing, he completed 7-of-11 passes for 46 yards and one interception. Rodgers would miss the following week, a loss to the Patriots, but returned in Week 16 to shred the Giants and has been playing at an unreal level since. Stafford didn’t play in either Green Bay game last year due to injuries. He has only faced the Packers once, on Thanksgiving 2009, and was picked off four times as a rookie. But this Green Bay pass defense is the second-worst in the NFL in yards allowed. The Packers opened as six-point favorites with the total at 55.5 on NFL odds. Green Bay is taking about 60 percent of the early action. The Pack are 7-3 ATS this season and 3-2 on road. The Lions are 6-3-1 ATS overall and 3-2 at home. Both are 7-3 on the ‘over/under’. 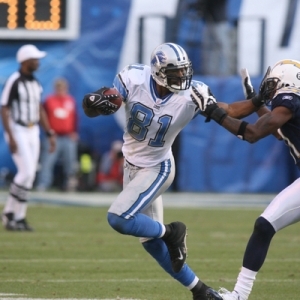 The Lions are 1-4 ATS in past five at home in this series. The ‘under’ is 5-2 in Lions’ past seven at home. The ‘under’ is 11-5 in Packers’ past 16 on road. Green Bay is 12-4 ATS after two or more consecutive wins over the last two seasons. How crazy is this: Green Bay has not trailed once in the fourth quarter during its 16-game winning streak. But you have to think the Packers are going to be a bit winded as this will be their third game in 11 days. Yeah, the Lions are basically in the same boat (although they didn’t have an MNF game so one more day in between), but they are also at home. I think the Lions pull the upset in their biggest game in years. And it sure looks like a shootout, so take the ‘over’. Indian Cowboy has been dominating the football bookies and his college and NFL picks have helped clients to eight of 10 winning football weeks. His NFL handicapping has uncovered another gem this weekend. A one-week package is only $99 – Click Here for more details. Also check his page daily for free NFL picks on his daily Youtube video.